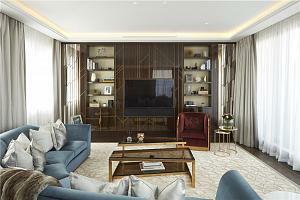 Properties in Mayfair are all about luxury living. 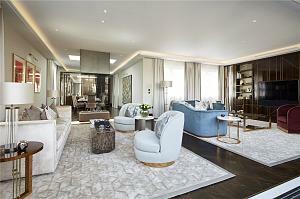 Famous and historic streets such as Park Lane, Grosvenor Square and Berkeley Square are particularly desirable. Also popular are the areas around high-end, busy shopping streets including Mount Street, South Molton Street and Bond Street. 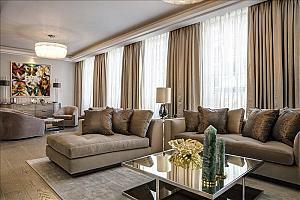 There are many purpose built, palatial apartments for couples or professionals. Mayfair maintains a pleasant village feel whilst being near popular tourist destinations and attracts a diverse, international population. Mayfair is home to so many exclusive bars and high end, traditional pubs. Nights out in Mayfair can be decadent and flashy or classy and subdued- it’s your choice. The theatres of the West End are easily accessible, as is access to contemporary culture and amusement on the South Bank. The Churchill Bar and Terrace has been designed with a young Winston Churchill in mind. In addition to serving traditional British Cocktails with contemporary twists, the bar boasts specially made bookcases with a range of modern books for visitors to browse that Churchill and his wife Clementine would have enjoyed flicking through. The decor and special touches in this bar are a definite must see. Although located in the centre of London, Mayfair is privileged to have access to three of London’s greatest parks. St James’s Park, Green Park and Hyde Park are all nearby and easily reachable on foot. With 20 Michelin starred restaurants, including Gordon Ramsey’s, Mayfair has an impressive array of places to eat out. It is home to many famous London fashion houses, clubs and hotels, including the exquisite Claridge’s, and also houses many company headquarters. 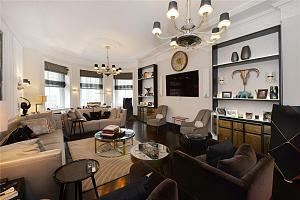 Mayfair is also home to international auction houses and specialist antique stores. Bordered by Oxford Street, Regent Street, Piccadilly and Park Lane, Mayfair showcases a variety of stores for an excellent shopping experience. Dover Street Market was created by Rei Kawakubo. His vision was to create a market place where creative designers could come together. Rei likes to see customers with strong, individual styles and this fondness for bold fashion is reflected by the clothes on display in the market. Scott’s is a luxury seafood restaurant located on Mount Street although they also serve meat, game and vegetarian dishes. There is a wide selection of oysters, caviar and shellfish to savour. The decor is plush yet contemporary and diners eat whilst surrounded by elegant, warm tones. The fish served in the restaurant are caught from sustainable sources. These days the majority of schools in the area tend to be music or language schools, however, one primary school remains. The St George’s Hanover Square School is located on South Street and has received a ‘Good’ rating from Ofsted. There is no doubt that Mayfair is a rather special part of London and indeed has a character all of its own... what I love about Mayfair is that it has so much to offer within its one hundred or so acres. 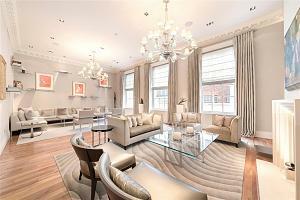 For more information, contact the local property experts in our Mayfair branch.